University of Oslo and HISP Sri Lanka are pleased to announce the upcoming DHIS2 Data Quality Academy, Level 2 to be held from 01 to 05 April at the Jetwing Blue Hotel, Negombo, Sri Lanka. Reliable and quality data are used to plan, monitor, evaluate, strengthen health system performance and make evidence-informed decisions. During 5 days, you will learn how to assess and improve data quality in DHIS2, and prepare the data for information needs. You will work on a copy of your country database and will make an action plan to improve data quality on the national instance. The training will be very specialized and because of the nature of material, we will only be able to accept a maximum of 40 participants. So please provide a good motivation in the form as the registration may be competitive. One of the objectives of DHIS2 Academy is to emphasise experience and solution sharing among countries across the region and to promote networking and collaboration among DHIS2 implementers in the region. Add to Calendar 04/01/2019 08:00 AM 04/05/2019 05:00 PM Asia/Colombo DHIS2 Data Quality Academy, Level 2 | Negombo, Sri Lanka, 2019 University of Oslo and HISP Sri Lanka are pleased to announce the upcoming DHIS2 Data Quality Academy, Level 2 to be held from 01 to 05 April at the Jetwing Blue Hotel, Negombo, Sri Lanka. 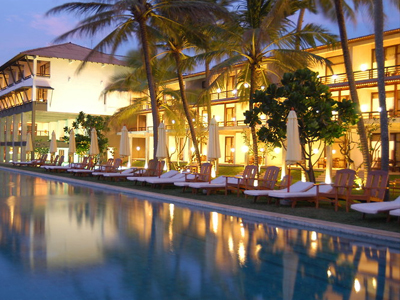 Jetwing Blue Hotel, Negombo, Sri Lanka. DHIS2 Academy is a great way of sharing experiences from the implementations from the countries in the region. The DHIS2 Data Quality Academy will provide you an opportunity for networking with global DHIS2 experts in addition to participants from the region. Academy trainers are highly recognised experts within global HISP community with vast knowledge and expertise on DHIS2 and public health domain. 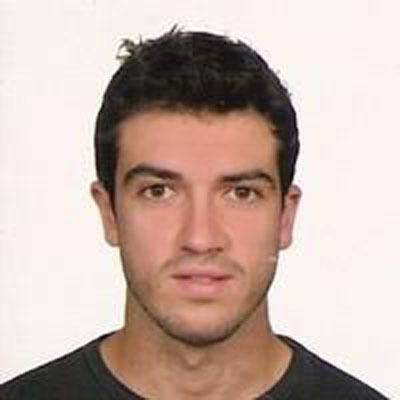 Scott is the DHIS2 analytics product manager at the University of Oslo. His responsibilities include supporting corner case DHIS2 implementations globally, creating the software development roadmaps for data quality and analytics, and coordinating advanced DHIS2 trainings. 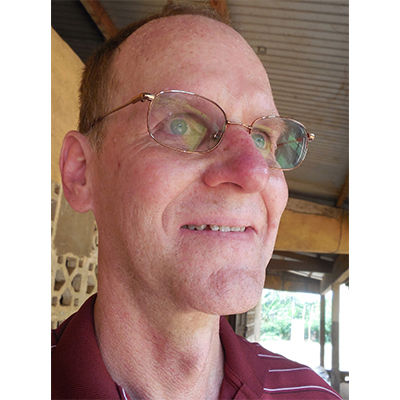 Scott is also UiO point person for community based information systems and logistics management information systems. Bob Pond is a public health physician consulting for UiO and WHO. He supported the development of WHO guidelines for analysis of routine immunization and associated DHIS2-based training materials. He also supported the development of training materials for the DHIS2 Data Quality Academy - first conducted in Rwanda in September 2018. 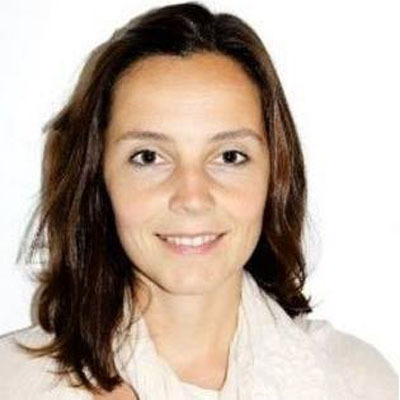 Zeferino Saugene brings more than 10 years of experience, with combined expertise in technology and global health. 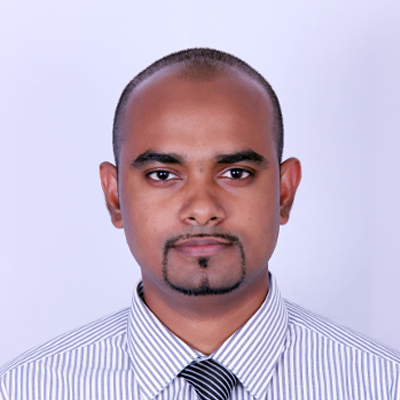 Zeferino is a DHIS2 expert who provides technical support to countries implementing DHIS2. 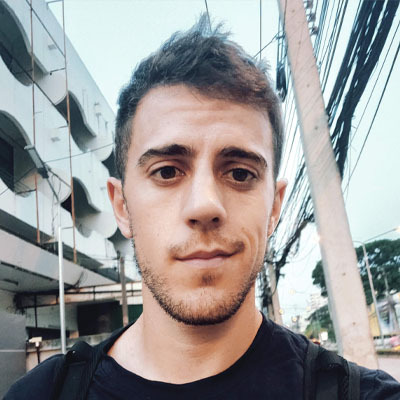 With a PhD in Information Systems with global health experience from the University of Oslo, Zeferino's career in digital and global health includes supporting several low resource environments of Africa in developing and implementing computerized applications. DHIS2 implementer and a trainer with expertise in medical, public health and ICT domains. He is involved with several DHIS2 related projects locally and internationally. Served as a DHIS2 trainer in several international academies. DHIS2 implementer and a trainer with expertise in medical, public health and ICT domains. Please complete the registration form below to register for the academy. SriLankan Airlines is the national flagship carrier operating to and from Colombo-Bandaranayake International Airport. The airlines that fly to Colombo are listed here: www.airport.lk/flight_info/list_of_airlines.php With increased air service to Sri Lanka from Europe, the Middle East and Asia, there are many competitive airfares available. Participants requiring an official invitation letter from the Academy Organisers can request one by email. Participants must first register to the Academy. Visitors to Sri Lanka from many countries can obtain visa on arrival after obtaining electronic travel authorization at http://eta.gov.lk/slvisa/ where the applications are approved usually within 24 hours. The event organisers will issue support letters, if required, only to those delegates who have registered for the academy. 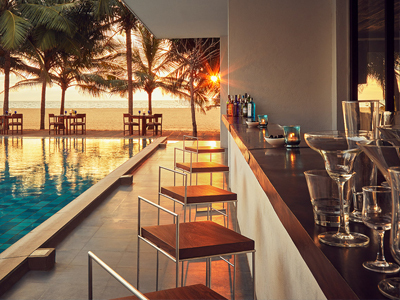 Jetwing Blue, Negombo: Sprawled over a coastal expanse of 9 acres, Jetwing Blue rests upon the nostalgic shores that witnessed the birth of our legendary hospitality in Sri Lanka. Located at the edge of the Indian Ocean, this historic hotel truly lives up to its name as an icon of tropical luxury, upon a buzzing beach strip of boutiques, restaurants and a number of other exciting haunts at our original home in Negombo. 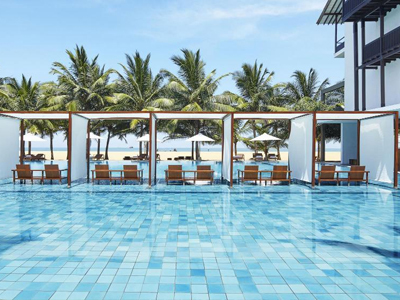 Jetwing Blue is also conveniently located mere minutes away from the Bandaranaike International Airport – making it an ideal start or finish to your Sri Lankan adventure. Negombo remains comfortably connected to the rest of our island – including the cosmopolitan capital city of Colombo to the south, which can be accessed via a rapid 30-minute drive on the Katunayake Expressway, situated in close proximity to our home. Deluxe Single occupancy room on BB - USD 165/Nett per room per night. Deluxe Single occupancy room on HB - USD 190/Nett per room per night. 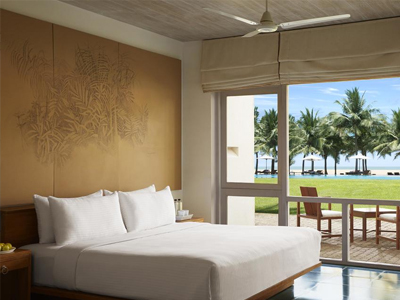 Deluxe Double occupancy room on BB - USD 185/Nett per room per night. Deluxe Double occupancy room on HB - USD 235/Nett per room per night. Please contact academy@hisp.lk or Tel: +94 71 754 8250 (Mobile/Viber/Whatapps), if you wish to book accommodation at the above special rates. The other hotels near the Academy venue are Goldi Sands, Hotel Sico, Serendib Village Guest House, Ceylonlak Boutique Hotel and Hotel Pledge. Please note that if you are interested in booking one of these hotels, you will have to contact the relevant hotel directly. Sri Lanka has been named the top destination to visit in 2019 by the Lonely Planet. Colombo, the capital of Sri Lanka, has a long history as a port on ancient east-west trade routes, ruled successively by the Portuguese, Dutch and British. That heritage is reflected in its its architecture, mixing colonial buildings with high-rises and shopping malls. Visit Sri Lanka Tourism website to plan your trip. ATMs are located in many places (especially at bank branches) in the cities and suburbs, less so in the countryside. You can withdraw from debit cards too (Cirrus, Maestro, Visa Electron etc.) where the logos are displayed. There are coins for 1 rupee, 2 rupees, 5 rupees and 10 rupees. Banknotes ranging from LKR 20 - 5000. VISA and MASTERCARD are the most widely accepted. JCB and AMERICAN EXPRESS are also accepted in some outlets. Many hotels, commercial centers, shops and restaurants accept credit cards. Check with the cashier before making any purchases. Bear in mind that some places apply a surcharge for credit card purchases. Check the percentage charged before you pay. The Sinhala and Tamil languages are both Official and National Languages in Sri Lanka while English is the Link Language. 230 - 240 volts, 50 cycles AC. Power sockets are of type D, M and G.
Making liberal use of local fruit, such as coconut and jackfruit, seafood and an arsenal of spices, Sri Lankan cooking delivers an abundance of incredible dishes. The food is very cheap generally, with a cheap meal costing about a dollar. The staple food of Sri Lankans is rice and curry – a mound of rice surrounded by various curries and delicacies. Other food that you should try are String Hoppers, Hoppers, Pittu and Kiribath. There are a number of regional variations though different types of hoppers, devilled prawns/cuttlefish/chicken/etc. and the common fiery addition to any curry, pol sambol made of grated coconut, red chilli powder and lime juice. Sri Lankan food is generally spicy. But you can always ask for less spicy options when you are ordering your food. Kottu Roti , a medley of chopped roti, vegetables and your choice of meat is a must-have for anyone in Sri Lanka. It is uniquely Sri Lankan and tastes best when made fresh by street vendors. Street eateries that offer kottu can be identified by the loud rhythm of knives working hard and fast on steel tops – a skill in its own right – chopping up the roti fine and combining all the ingredients. Laptop: The participants are expected to bring his/her own laptops. Internet: All hotels have wireless connections, which are free. Porutota Rd, Negombo, Sri Lanka. Only fully completed registration forms will be considered. After reviewing each registration, the Academy Organisers will send a confirmation/information email. This email will include all the details related to the payment of the registration fees. Participation is not guaranteed until full payment of the registration fees is received. Each Academy has a ceiling. If the maximum capacity is reached, the Academy Organisers reserve the right to refuse additional registrations and to close the registration form. Payments should be made in advance, before the Academy starts, by bank transfer or PayPal. Participants who made a late payment (from 3 days before the Academy starts) are invited to bring a copy of their payment slip to the registration desk the first day of the Academy. All bank fees and money transfer costs must be covered by the transmitter. Any negative balance will be collected on site. Kindly indicate the Academy name and the participant’s full name as a reference on all bank transfers. The Academy Organisers cannot guarantee that Academy collaterals will be available for late registrations. All materials will be distributed on-site. Notice of cancellation (sickness, lack of funding or any other personal reasons) must be made in writing by email to the Academy Organisers. The date of the email will be the basis for considering refunds. Please indicate your bank details on your written cancellation. Refunds will be made after the conference. The Academy Organisers reserve the right to reimburse the participant after deducting costs already incurred for the bank transfers. No refunds will be granted for unforseen events or early termination of attendance, or any other incidents during the Academy, which are beyond the control of the Academy Organisers. In the event that the Academy cannot be held or is postponed due to events beyond the control of the Academy organisers, the Academy organisers cannot be held liable by participants for any damages, costs such as transportation, accommodation, and other expenses incurred by the participants. All expenses in relation to the Academy, the registration and the attendance are the sole responsibility of the participants. Under these circumstances, the Academy Organisers reserve the right to reimburse the participant after deducting costs already incurred for the bank transfers. The registration fee does not include insurance. The Academy Organisers do NOT provide any form of insurance and do not take any responsibility for accidents or illnesses that might occur during the DHIS2 Academy and in the course of travel to or from the Academy place. Therefore, each participant is solely responsible for his/her safety, security and health. Moreover, participants shall be aware of their health insurance policy and take appropriate measures to ensure their coverage for any hazards which might occur when attending the DHIS2 Academy. The Academy Organisers reserve the right to amend the Academy programme, including making changes to the speakers/facilitators appearing and/or subjects covered. No refunds can be granted in case of cancellation of speakers/facilitators, programme change or any other incidents during the Academy which are beyond the control of the Organisers. The Academy Organisers reserve the right to move the Conference to a larger or smaller venue, if the level of participant registrations warrants. The name badge must be worn at all times during the Academy. Access to the venue will not be granted without the DHIS2 Academy name badge. It is the sole responsibility of the participant to take care of his/her visa requirements. Participant who require an entry visa must allow sufficient time for the application procedure. The Academy Organisers will collect and store datas for the preparation and execution of the Academy. HISP-UiO performs monthly e-mailings (which include photographs/videos) and/or communications on social media regarding the DHIS2 Academy. If you do not wish to appear in the marketing visuals, please send an email to aliceal@ifi.uio.no. Email contact details of participants will not be passed on to third parties. Participants may unsubscribe from these mailing campaigns at any time. The participant agrees to be responsible for all property he or she brings to the Academy venue.